Everyone knows ERP change management is important when bringing in new enterprise software. But why do so many organizations continue to get it wrong? 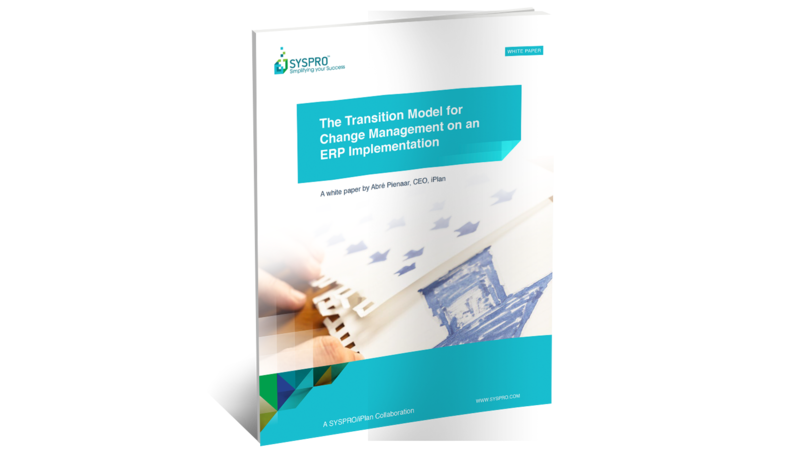 This white paper discusses these challenges and proposes a better approach: a new transition model based on years of successful ERP implementations. Download our SYSPRO ERP Change Management White Paper to learn more.